Katherine A. Granrath, 96, and former longtime resident of San Antonio, Texas, passed away peacefully in her sleep on Wednesday, February 22, 2018 at Pine Hill Assisted Living in Windham, NH after a sudden illness. She was born in Nordmont, PA to the late James and Rose (Sarocco) Argent. After receiving her nursing degree in December 1943, she joined the US Army Nurse Corps and served in London during WWII. After meeting her future husband, Kay separated from the Army because she was an officer and Grant was a Sargent. She worked as a nurse at Baptist Memorial Hospital, San Antonio, TX. She was at Brook Army Medical Center, San Antonio, TX until her retirement in 1985. Kay was a beautiful lady and had a heart of gold. She had many close friends and was loved by all who met her. Kay loved cats and had several cat companions through the years. In her better years, Kay loved to sew, knit and crochet. Kay loved to travel. With her husband, they were stationed in Japan, Germany, Maryland, Virginia, and Washington. They retired to San Antonio, TX. She and her daughter took several trips and cruises over the years. 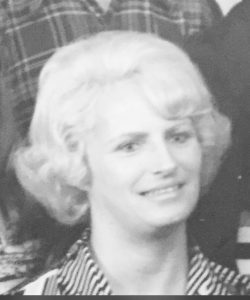 Kay was pre-deceased by her husband Grant Granrath on 18 February 2010. She was also pre-deceased by her three brothers, Al, Ray and Joe, all of Roscoe, NY. Surviving members of her family include one daughter, Susan Quist and her longtime companion Robert Knoll of Merrimack, NH; two grandchildren, Eric R. Quist and his girlfriend Cheryl Kelly of Randolph, MA and Amy S. Quist of Marshfield, MA. The family wishes to extend sincere thanks to the staff, especially Jeanne Lane, at Pine Hill Assisted Living where Kay lived for the last 5 years. She will be remembered and missed by all who loved her. A memorial service will be held at the Rivet Funeral Home, 425 Daniel Webster Highway, Merrimack on Wednesday March 7th at 2 PM.